With a population of 26,000, the City of Mount Pearl in Newfoundland and Labrador, Canada, generates a lot of records. Previously, records were stored either in physical file folders or on network shared drives. 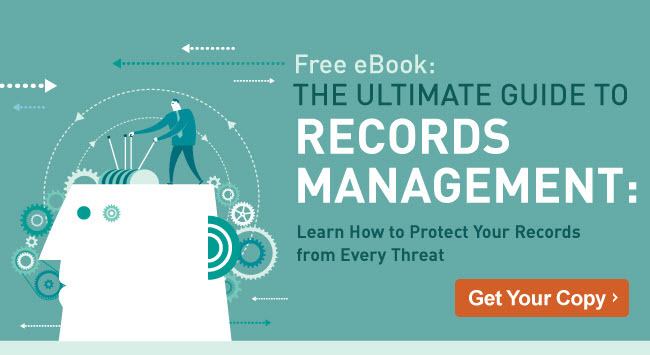 Here is how the city automated records management with Laserfiche Records Management Edition (RME). The first thing we did was create a functional file classification plan. We decided that the existing folder structure on the shared network drive was not efficient since it had more than five different folder levels, folders were created ad-hoc and there was no consistency in naming conventions. We interviewed key people in every department and came up with a way to consolidate folders based on those interviews and business process analysis. In addition to the folder structure, we had to come up with the records retention schedules. Since records keeping requirements are not always covered by the Canadian laws, the remaining retention was derived by interviewing users about their needs and analyzing the external environment. 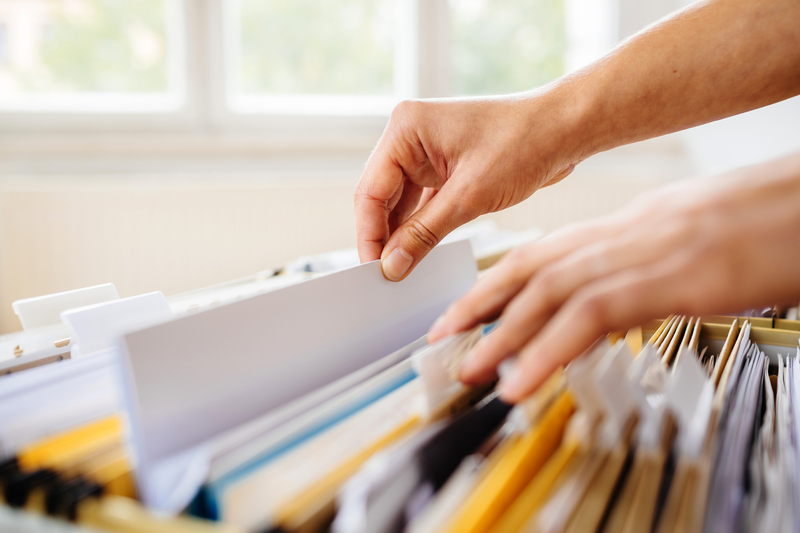 As part of the functional file classification plan and retention schedules, it was also necessary to identify vital and archival records, and to develop internal metadata standards and file naming conventions. 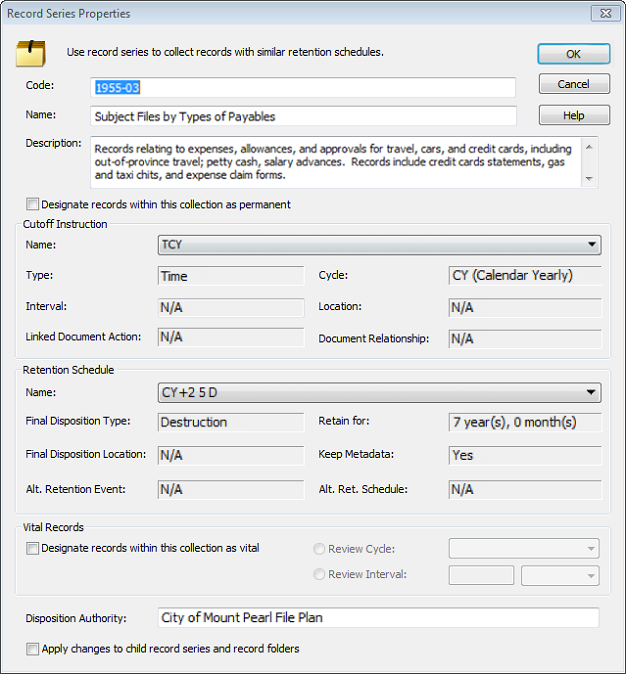 We used the Records Series Utility to import the records series and retention schedules in Laserfiche RME. All we had to do was transform the functional file classification plan that includes records retention schedules into a spreadsheet and upload it with the utility. As a rule, we allocated retention and disposition rules at the top classification levels. However, where it was not practical to assign retention at the records series level (i.e. 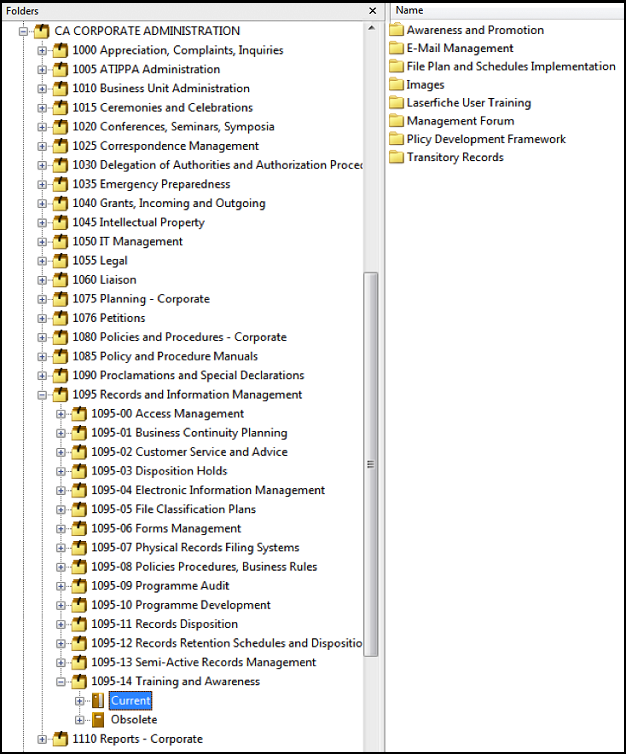 case files), we associated retention by document type. 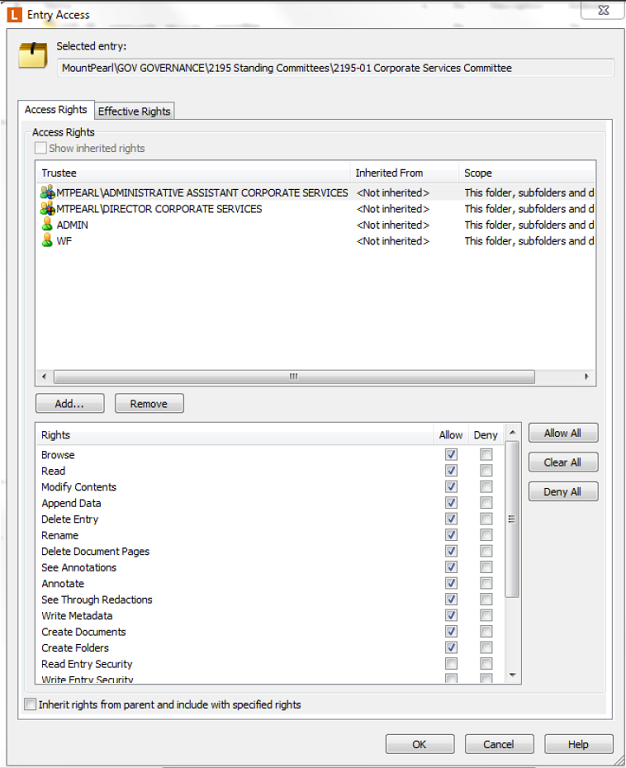 The city established control over the top levels of the classification by restricting users’ privileges to create records series and folders at the top levels of the hierarchy. Another aspect of automating records management is standardizing the naming conventions of the records series and records. For certain records (e.g., correspondence items, engineering drawings and job competition files) we used Laserfiche Workflow to make sure that the naming convention was adhered to. The records management search in Laserfiche makes it very easy to identify records due for disposition. Before Laserfiche, when the records were stored on the shared network drive, a manual folder/document search used to take 30-40 minutes. We can now search the whole Laserfiche repository in several seconds. Annual costs associated with records storage have been reduced by 50%. 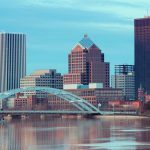 Since Laserfiche is used as a single repository for the city’s official records, information that used to be located in disparate systems can now be shared across the organization. City employees do not have to request permission to access different employees’ computers or personal drives as everything is available in one centralized location. Laserfiche’s tight security and access control, extensive metadata management and auditing capabilities ensure the authenticity, reliability and integrity of records. Record keeping processes have been standardized across the organization.